Click HERE to complete the 2015 SFDI Survey! We greatly appreciate your feedback and take it seriously when considering how we may improve SFDI for the future. Sign up for your choice of Morning, Mid-day and Afternoon Intensives with Andrew de Lotbinère Harwood, Ralph Lemon, Joy Davis, Jennifer Monson or Jimena Paz. Includes unlimited drop-ins, performances and jams. Sign up for an individual 5-day, 4-day or 3-day intensive without unlimited drop-ins. Includes performances and jams. Sign up for unlimited drop-in classes only. Includes performances and jams. 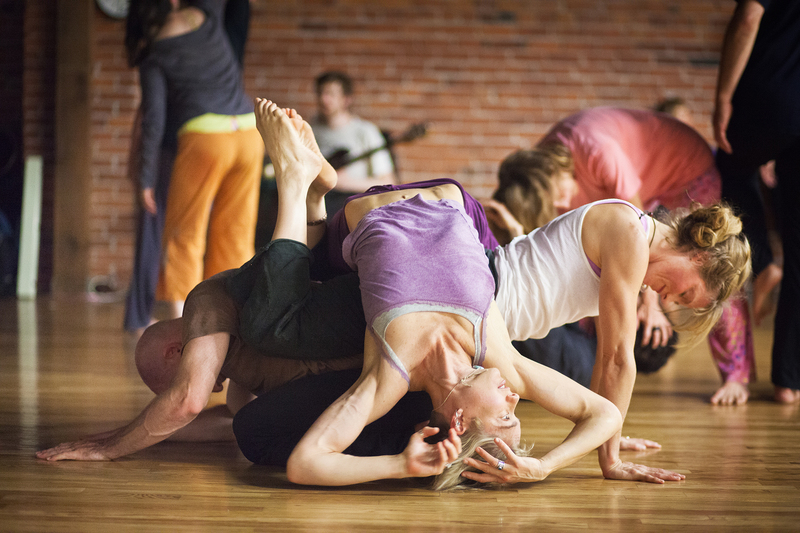 MAXIMIZE YOUR VELOCITY // Maximum Velocity is our world-class summer program bringing together Strictly Seattle and the international Seattle Festival of Dance Improvisation, July 5 – Aug 3, 2015. Register for Maximum Velocity (both Strictly Seattle + SFDI) and receive a 15% discount. Includes the Professional Advanced, Intermediate or Beginning Strictly Seattle Intensive and The Entire SFDI 2015 Festival Package. In this popular evening of performance, presentations, and community dialogue, Seattle Festival of Dance Improvisation (SFDI) intensive faculty share what’s currently driving their research and practice. A solo dance theatre work by Amii LeGendre (created with the support and guidance of KT Niehoff) that tells the stories of teaching dance to men in prison, acting in One Flew Over the Cuckoo’s Nest with them, and the underlying themes of motherhood, friendship, heteronormativity and the body. A lecture demonstration and conversation facilitated by Karen Nelson with Andrew de Lotbinère Harwood, Ronja Ver, Scott Davis + Katherine Cook. A critical mass of exciting artists who have been dancing everywhere but in the mainstream. Featuring performances by Jennifer Monson / Rachael Lincoln / Amii Legendre / Karen Nelson / Katherine Cook / Dani Tirrell / Amy O’Neal / Matt Drews + MORE. If you’ve never attended an Underscore, be sure to attend this talk with Katherine Cook in the Founders Studio beforehand! A long-form open improvisation structure for practicing and examining dance improvisation. Experience Jennifer Monson’s process by participating in the last day of this site-specific intensive. Monson brings her award-winning methodology to investigate the rapidly changing urban ecology of Capitol Hill. For SFDI faculty + participants only. The SFDI Open Forum is a partnership between Velocity and Contact Quarterly, a vehicle for moving ideas for 40 years. Open movement jams welcome to all. ANDREW DE LOTBINÈRE HARWOOD (CANADA) is a leading international teacher, performer, creator, deeply influential in the development of CI and instantaneous composition. Andrew studied extensively and performed with Steve Paxton, Nancy Stark Smith, Nita Little; danced for Marie Chouinard, Jean-Pierre Perreault; collaborated with Chris Aiken, Kirstie Simson, Ray Chung, Lisa Nelson, Benno Voorham, Benoît Lachambre, among others. He is the recipient of the Canada Council for the Arts’ Jacqueline-Lemieux Award. 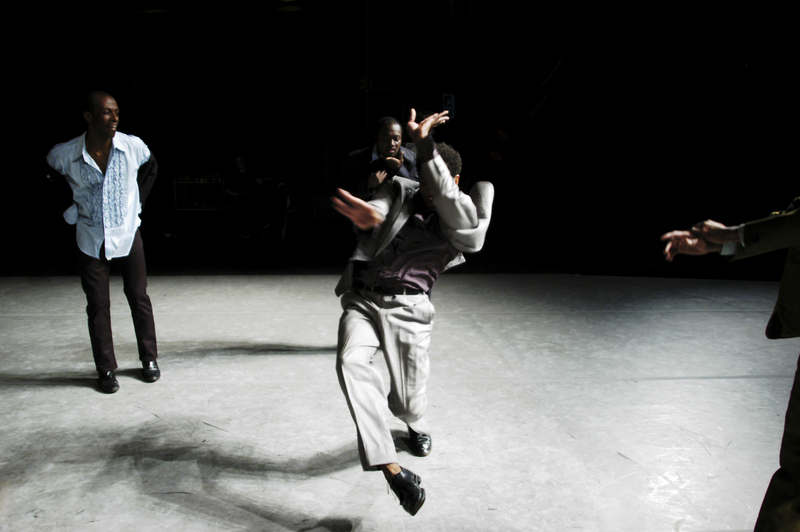 RALPH LEMON (NYC) is a choreographer, conceptualist, director, writer,installation artist is renowned for intellectually rigorous and experimental performances as socially and politically resonant as they are personal, including How Can You Stay in the House All Day and Not Go Anywhere? (2010); a commission for the Lyon Opera Ballet, Rescuing the Princess (2009); and The Geography Trilogy (1997-2004). His honors include the Alpert Award in the Arts, a Creative Capital Award, the USA Fellowship, a Guggenheim Fellowship, and the American Choreographers Award. JENNIFER MONSON’S (US) award-winning projects have radically reframed the role dance plays in our cultural understanding of nature and wilderness. 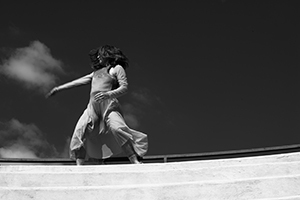 As Artistic Director of iLAND she creates large-scale dance projects informed by the natural and built environment, using choreographic practice as a means to discover connections between environmental, philosophical and aesthetic approaches to understanding our surroundings. Monson was awarded a Guggenheim Fellowship, Doris Duke Impact Award, and two “Bessie” Awards. 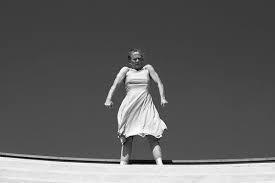 JOY DAVIS (US) is a dance maker, performer, and teacher. She is one of four certified Countertechnique teachers in the US. Developed by Anouk van Dijk, Artistic Director of Chunky Move, Countertechnique is a dynamic movement system that offers a clear framework of tools in which dancers explore ways to continuously direct and counter-direct the weight of the body through space. Joy teaches her celebrated classes and workshops all over the US. Originally from Nashville, she has spent the last 15 years between Knoxville, Chicago, Amsterdam, and New England creating, performing, and studying contemporary dance and improvisation; including working with Chris Aiken and Angie Hauser, Kathleen Hermesdorf, Erica Mott, Shaina Cantino, and Delfos Danza. JIMENA PAZ (US) shares her time between New York, Europe and Argentina. A Certified Feldenkrais Practitioner she has a private practice in NY and teaches internationally. Paz danced with Vicky Shick, Lance Gries, Susan Rethorst, Stephen Petronio Company (‘99-‘06), Martha Clarke, Constanza Macras (Berlin), Iris Scaccheri (Buenos Aires), Virginie Yassef (France), among others. RONJA VER (US/FI) has worked in Europe and the U.S, most recently with Nancy Stark Smith, Mike Vargas, Risa Jaroslow and Scott Wells. She was a soloist of the National Theater of Finland, in Riitta Vainio Dance Company, and dances on Steve Paxton’s dvd Material for the Spine. Ver co-organizes the West Coast Contact Jam and co-founded the Finnish CI festival Skiing On Skin. Housing will be provided through Cornish College of the Arts on a first-come, first-served basis. The cost will be $270. Check-in will take place on the morning of July 26th, and check-out will happen on the morning of August 4th. Housing applications are due by June 22nd. Click the link below! Please send completed applications to programs@velocitydancecenter.org. The SFDI 2015 Work Study Application is now closed. The deadline to apply was April 10, 2015. *$60 non-refundable deposit is built into all SFDI prices. This deposit serves as the place holder within the program. All paid tuition (not including the $60 deposit) and housing fees will be refunded in full only if written notice of withdrawal is received on or before 60 days prior to the beginning of the intensive (May 26, 2015). Between May 26 and July 26, 2015 all paid tuition (not including the $60 deposit) will be refunded for medical reasons only. A signed note from a doctor is required. Dorm fees will be refunded in full. After the program begins, July 26, 2015, tuition and housing fees will not be refunded for any reason. Have questions? Need more info? Contact Cait Wyler, Programming Coordinator. 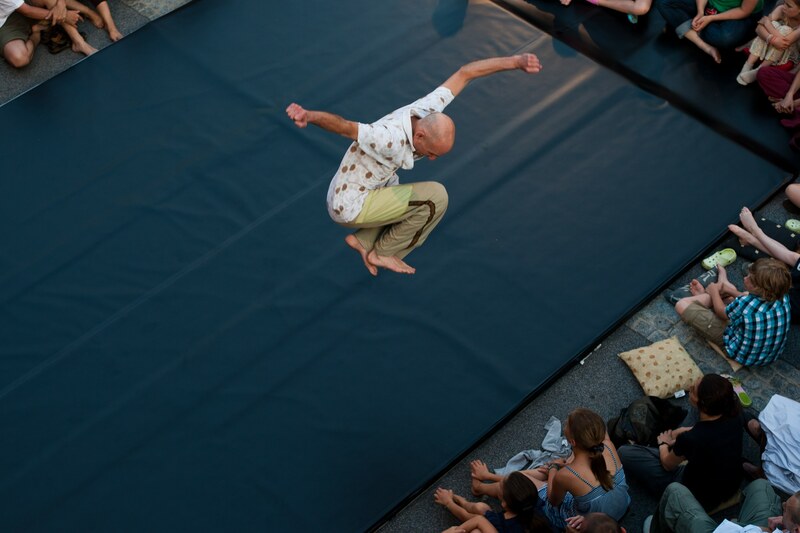 In 2011, after 18 successful years, Dance Art Group (DAG) handed the festival over to Velocity Dance Center. View the DAG press release here. The 22nd Annual Seattle Festival of Dance Improvisation is made possible through the generous support of 4Culture, ArtsFund, The Seattle Office of Arts & Culture, Art Works, KUOW 94.9, The Pruzan Foundation, The Seattle Foundation, and Pacific Continental Bank.